For Domestic mission trips, one $99 non-refundable reservation is due at the time of reservation. If you are registering prior to November 1, 2018, you are locking in early-bird pricing for your entire group. You may pay in 3 easy steps. 30 days prior to your Domestic Adventure – remaining balance due; non-refundable, but transferable to a new registrant. Rural South Carolina was devastated by 2018’s hurricanes Florence and Michael. 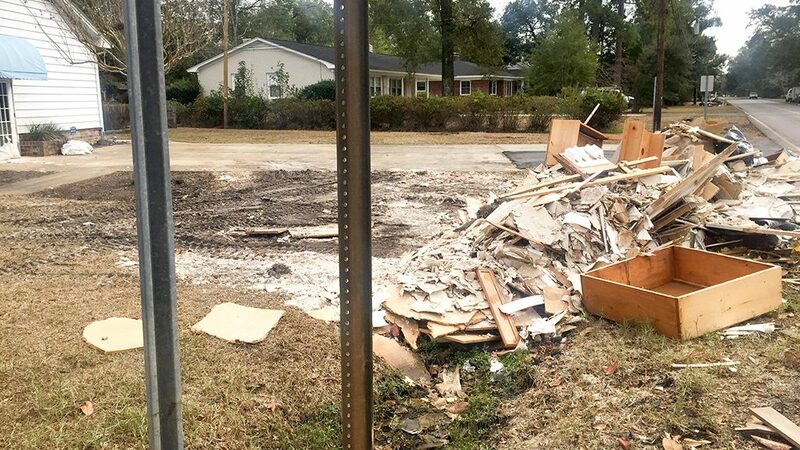 A glimpse of towns like Conway or Nichols, South Carolina, reveals piles of destroyed clothes, furniture, bedding, and more in front of every home. 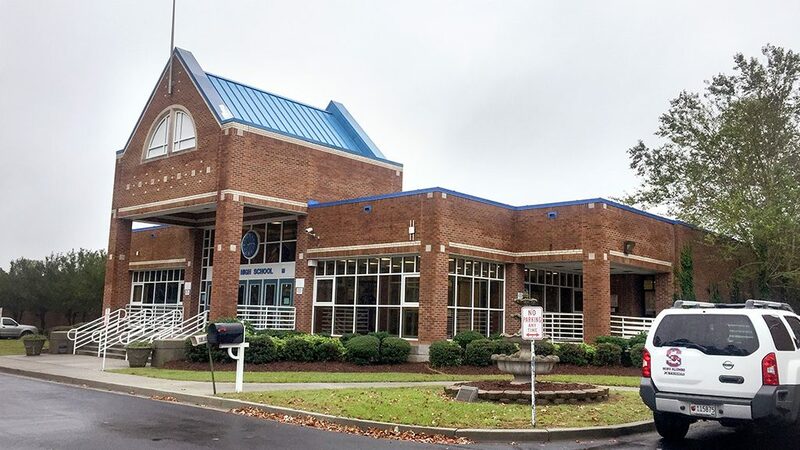 Much of rural South Carolina was hurt by at least one of these hurricanes, but the community of Nichols was hit by both of these 2018 hurricanes while they were still struggling with rebuilding after Hurricane Matthew from the fall of 2016. Home to around 400 mostly low- to moderate-income workers and retirees, over a half-dozen of Nichols’ dams were breached in the 2016 hurricane. Water poured down the streets four feet high and submerged the town for 10 days. 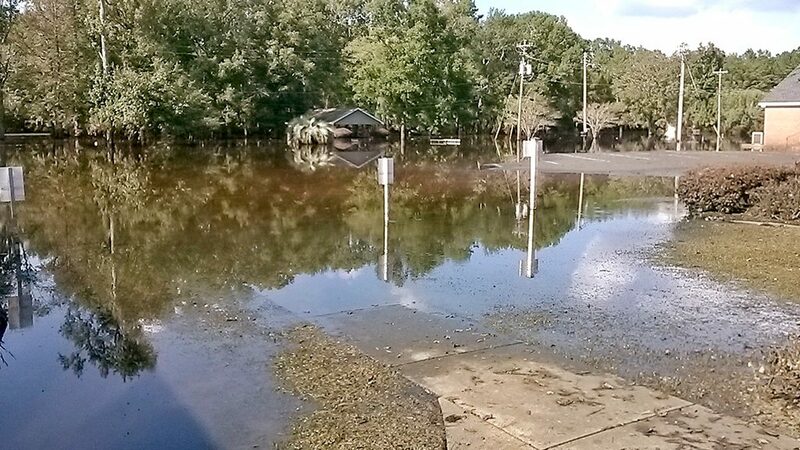 When Florence hit in September of 2018, the Little Pee Dee and Lumber rivers again overflowed Nichols’ banks. The waters were even higher this time. 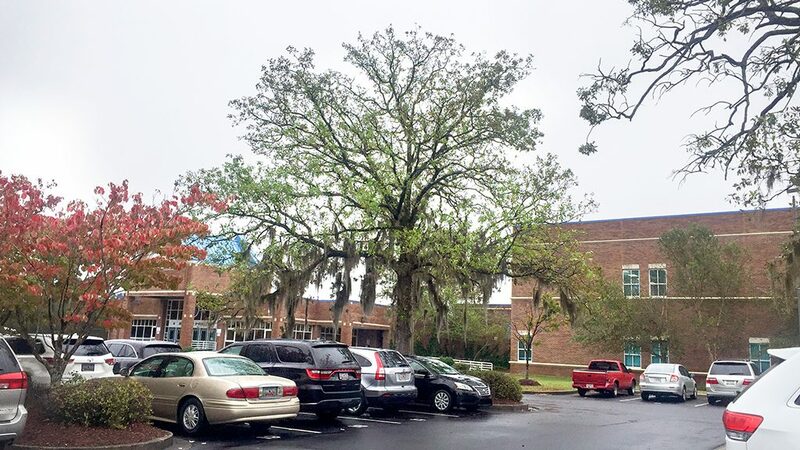 Only a few weeks later, Hurricane Michael delivered yet another blow. Needless to say, the people of Nichols are in dire need of both help and hope. The people of Nichols are in dire need of both help and hope. Your presence can provide both. We sat down with Terrace Crawford, South Carolina native and national leader in the youth ministry community, to learn more about the needs in South Carolina. Listen to this episode of "This Week in Youth Ministry" and learn how your group can help. Hey, who are you guys? I know Group, but Lifetree Adventures? Are you new? Far from it! We created the concept of workcamp mission trips way back in 1977. Since then we’ve served hundreds of thousands of participants. Our team is led by Thom and Joani Schultz and includes several seasoned veterans with decades of experience in mission trip planning and programming. We’ve also added some innovative new updates to the mission trip experience. Are you connected to another “group” with a similar name? No. We are the original, genuine Group mission experience, a part of Group Publishing of Loveland, Colorado, for over 40 years. Others may use a similar name, but they’re not connected to us. You may rely on Group’s Lifetree Adventures for a worry-free experience, thorough and professional preparations by our highly experienced staff, spiritual growth experiences created by Group’s experts, meaningful work projects, an emphasis on safety, and the stability and security of a large established organization. Who can attend a Lifetree Adventure? Anyone with a heart to serve others and a desire to grow closer to God is welcome to join us on a Lifetree Adventure. We welcome a blend of individuals and groups. Our domestic mission trips are designed with teenagers and youth groups in mind. Participants who are at least 14 years old or entering 9th grade in the fall of 2019 are welcome at our (Senior High) Advanced Home Repair Adventures, while all other Adventures are open to both Senior and Junior High (at least 12 years old or entering 7th grade in fall 2019). Our international experiences include a wider variety of ages, groups, and backgrounds. Your mission adventure concierge can give you more details. The Group team provides care to nearly all the details of your trip, including lodging, meals, project coordination and building materials/supplies during the mission experience, discipleship programming and materials, on-site support crew, and a T-shirt for every participant. The fee doesn’t include transportation or meals to and from the trip location or during your time off. For our domestic mission trips, we use a clean, comfortable high school or middle school as our home base for the week. We sleep, eat, and do all our programming at the school. You’ll want to bring an air mattress and bedding. The safety, security, and well-being of every participant is our number-one priority. Our team has years of experience ensuring that extra precautions are given to make every aspect of the mission trip as safe as possible. We visit each location in person several times before your Adventure, and we check each worksite for safety before you arrive. What will I be doing at a Lifetree Adventure? Many of our trips give you the option to focus on home repair or relational ministry. Actively engaging in the local culture is important to us. So, you might yodel, dance, cook, craft, clog, powwow, or sing. Your mission adventure concierge will have specific details for each location. What types of work does “home repair” entail? Depending upon the location, need, and your skill or desire for work, you might be assigned to a variety of projects. Work ranges from challenging at Monument Valley to moderately challenging at Red Lake to moderate at Owego, Mescalero, and Lame Deer. Raytown and Monson offer moderate to simple home-repair projects as well as relational ministry opportunities. What if I don’t have any construction skills? Don’t worry—what really matters is your desire to work. No matter how challenging the project, if you really want to put in the effort, skilled Local Project Advisors and on-staff Troubleshooters will be available to ensure your success! What does “relational ministry” entail? Relational ministry could entail a variety of opportunities to interact with and meet the needs of local people. From assisting elderly residents to serving at a food bank to building trails, your work will be a valuable opportunity to connect one-on-one with people who need your help. You need to bring one adult volunteer (age 21 or older) for every 5 students (age 20 years or younger) you register. If you have both genders registered, you need to have at least one adult volunteer of each gender. You will provide your own transportation to and from your mission trip. The vehicles and drivers you bring will be used to provide daily transportation to and from the project sites. Whom do I ask if I have more questions? Your Adventure Concierge is available to answer all mission trip-related questions and is waiting to hear from you. Call 800-385-4545 ext. 4166 or chat online. Will we really be welcome on a Native American reservation? Very much so! Group’s Lifetree Adventures is unique in that we partner directly with local tribal leaders and agencies. We’ve enjoyed decades of solid relationships based on trust and respect. People on the reservations now count on us to come—and every resident will have specifically applied for your help. Spread the word and start recruiting your group! If you have adults in your congregation interested in chaperoning and supporting your team on the road, share our Support Roles with them. There are several ways for adults to share their gifts throughout this experience. Have you considered a budget with travel costs, registration fees, and emergency funds? Have you received firm commitments from a core number of people? What is most exciting to you and others about this trip? Register for your trip by calling our friendly staff at 800-385-4545, ext. 4166, or by registering on this website. Get a Discovery Pack sent to your mailbox. This pack contains information about all of our mission trips. Get in touch with one of our Adventure Concierges to schedule a time for a one-on-one meeting. Receive valuable resources that help make your decision-making and trip-planning easy!